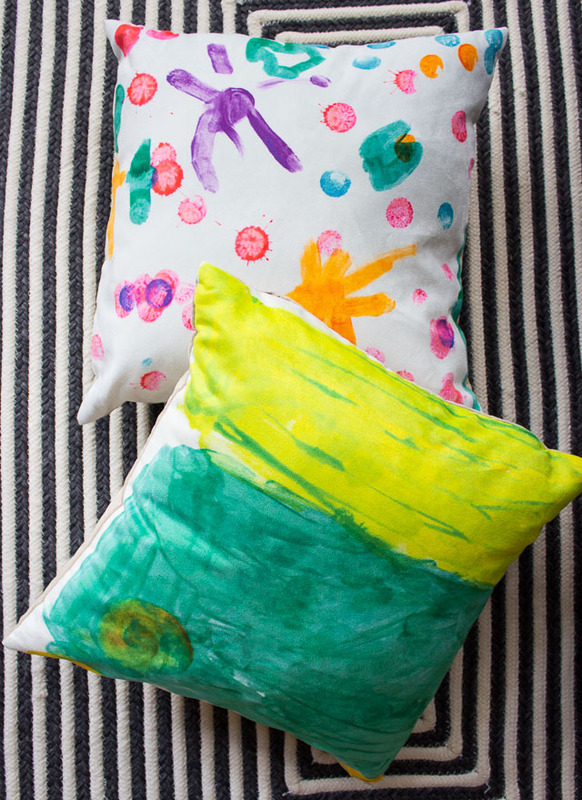 How to Turn Kids Art into Pillows! 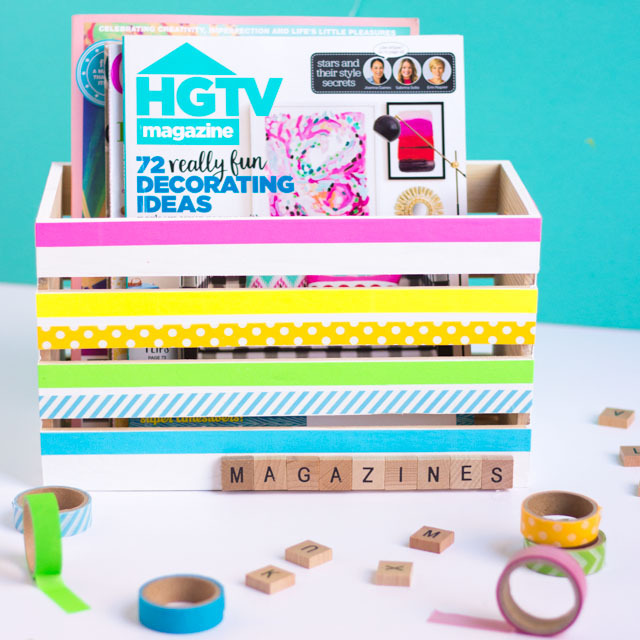 I’ve got a really fun project for you today that is going to come in handy over the coming weeks as your kids go back to school and start bringing home their piles of art projects! 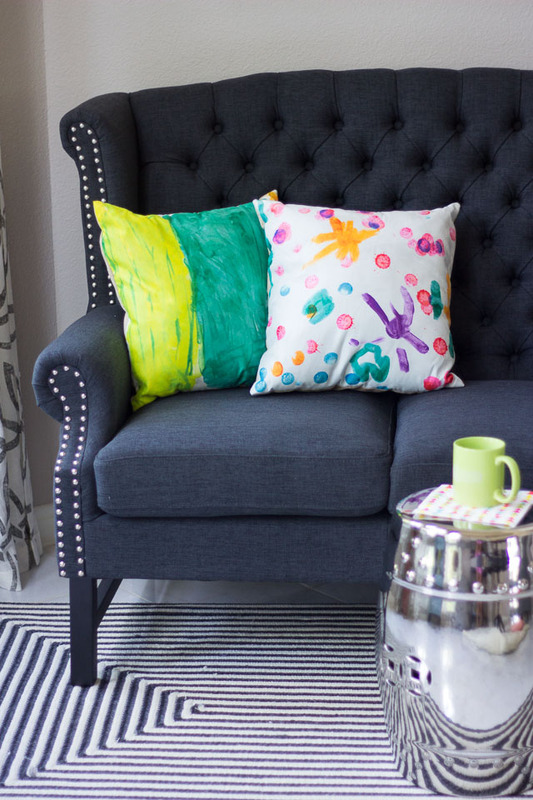 Why not turn a couple of your favorites into one-of-a-kind pillows for your home? I’ve partnered SnapBox, a company that makes creative photo products, to show you how! I’m always looking for places beyond the refrigerator to display Stella and Hazel’s art projects. 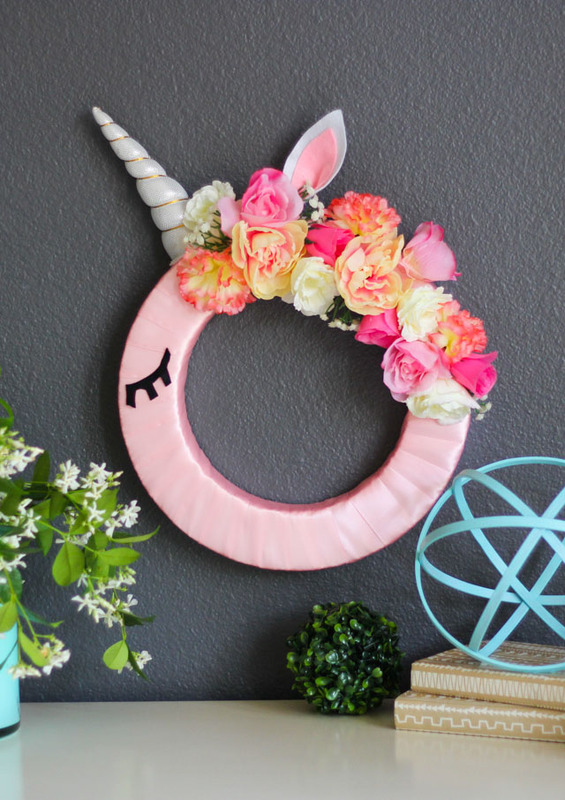 At this point there is something they’ve made in pretty much every room of the house – from our living gallery wall to their playroom display. 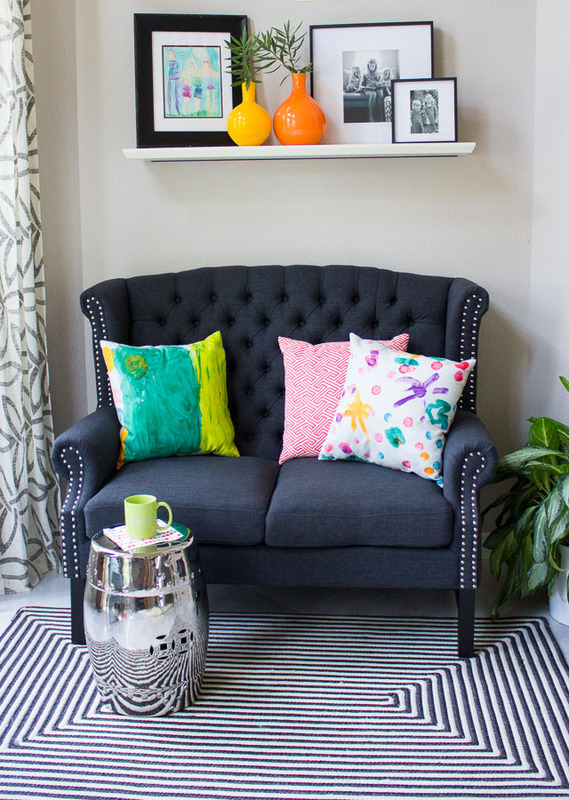 But these pillows take incorporating their projects into our decor to a whole new level! 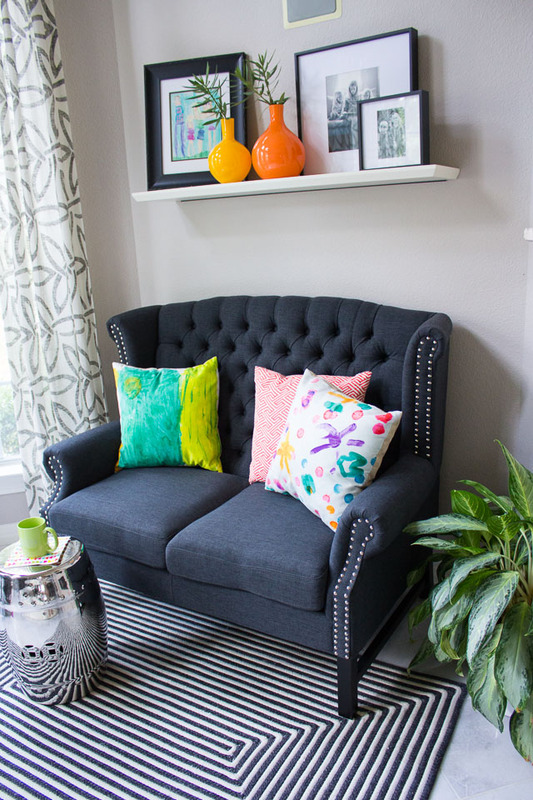 I think throw pillows are the perfect opportunity to bring fun colors and patterns into a room without spending a lot money. They can easily be swapped out throughout the year and I am frequently moving mine from room to room for a different look. 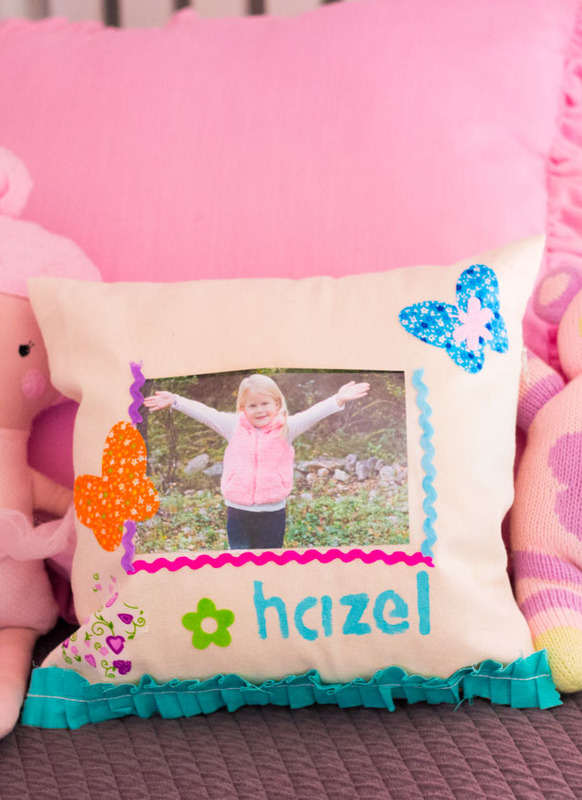 These personalized pillows would make such great gifts too, don’t you think? 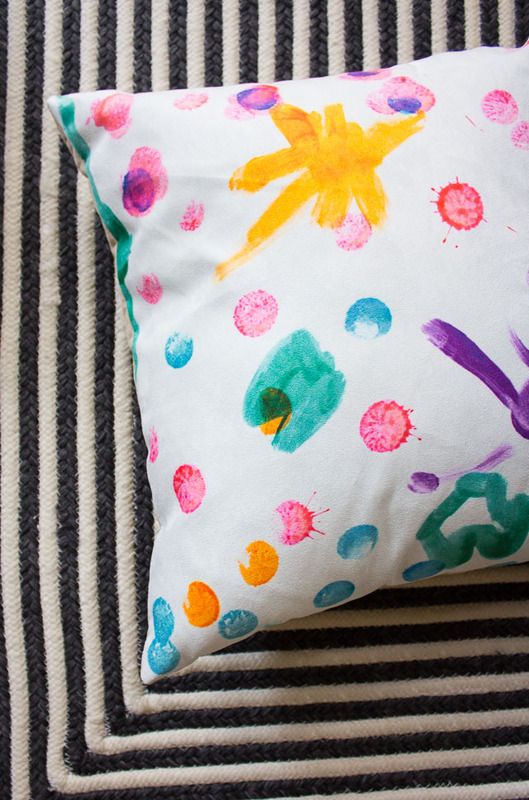 Read on to see how easy SnapBox makes it to turn any art project into a pillow! The first thing to note is that any art project can work – from a drawing to a painting to a photograph! 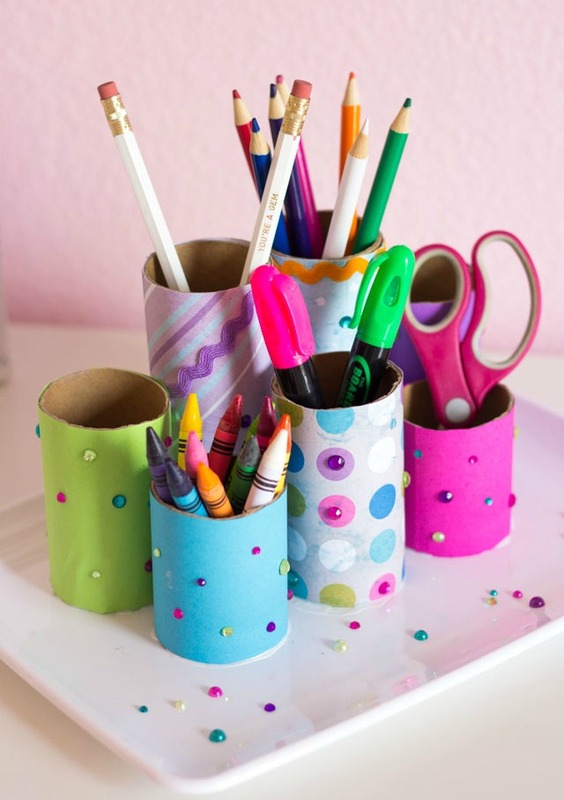 You can use something your child has already created or “commission” a piece by asking your child to make something using a set of colors that compliment your decor. Any art that can be cropped into a square works well for this project. For our pillows, I gave Stella and Hazel a bunch of their favorite Do-a-Dot markers (leaving out the browns and blacks!) and a square piece of paper and let them create whatever they wanted. 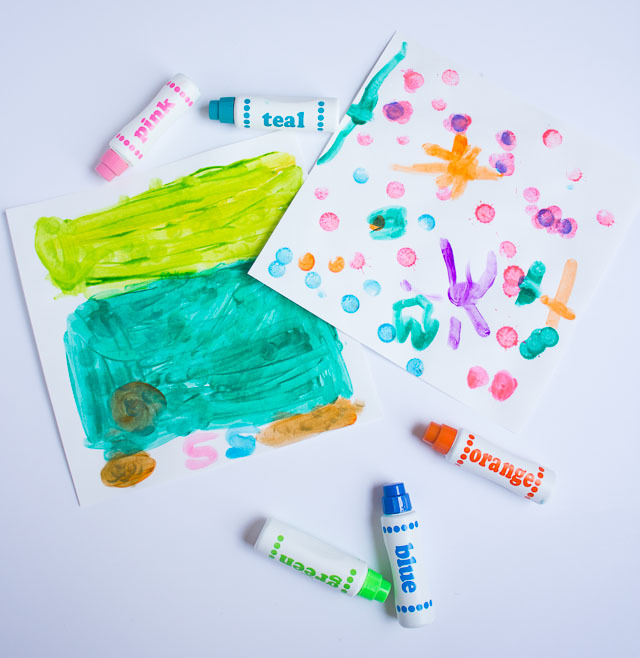 Stella chose to use broad brushstrokes to make art reminiscent of Mark Rothko, while Hazel made a mix of dots and sunshines in a rainbow of colors. 🙂 Then the fun part! I took a photo of each piece, cropped and edited it a bit to brighten the colors, and then uploaded the high resolution image to SnapBox. You could also scan your image instead of taking a photo. 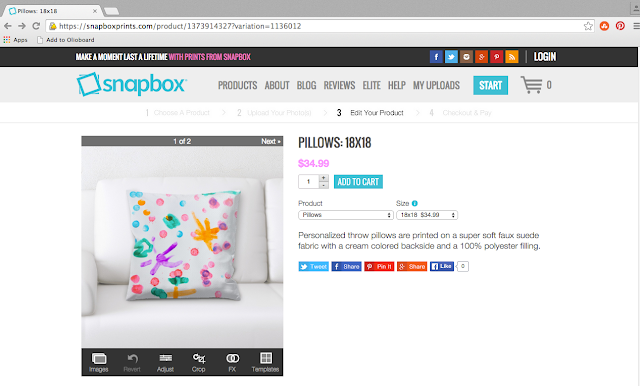 SnapBox then shows you a preview of how your pillow will look – how cool is that? The pillows were so pretty when they arrived – they are a substantial size at 18″x18″, made on soft faux suede fabric that shows off the brushstrokes, and nicely stuffed. 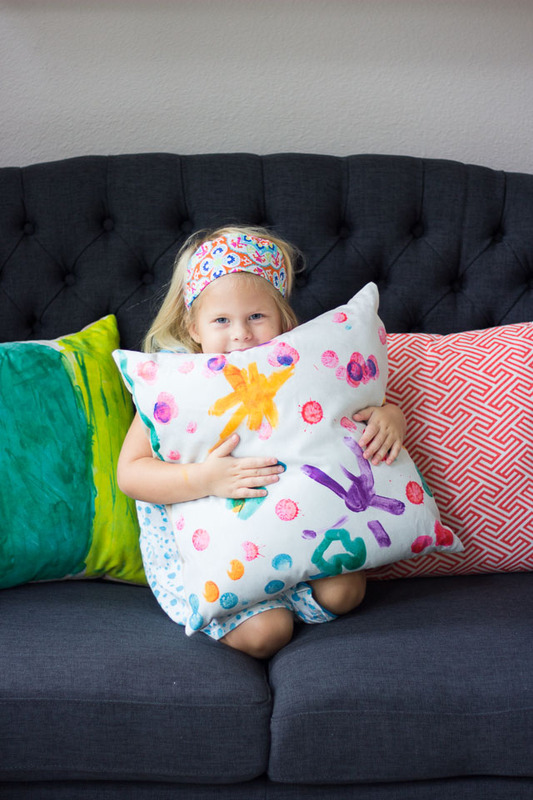 I love the dose of fun that these add to our formal living room, and the girls really got a kick out of seeing their projects in pillow form! 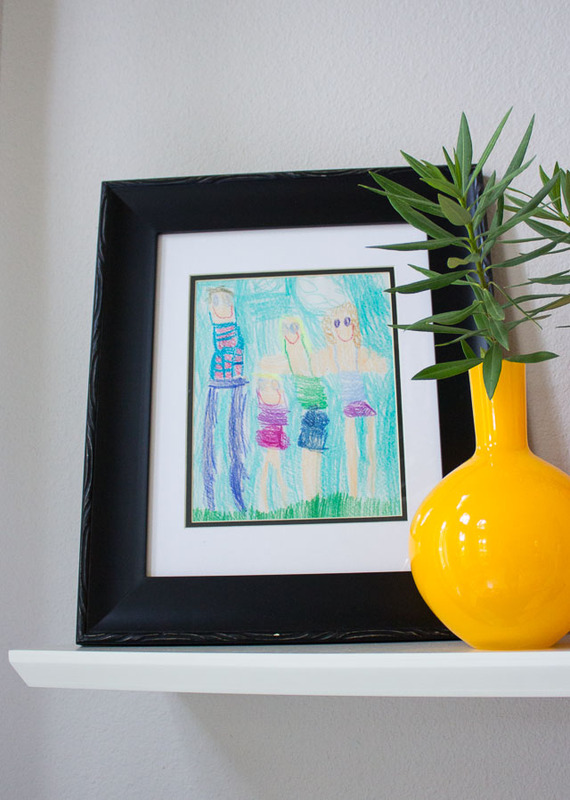 I think they are the perfect compliment to one of my favorite pieces of art – this family portrait that Stella drew a couple years ago! This post is sponsored by SnapBox. All content and opinions are my own.